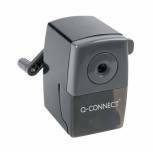 Q-Connect Metal Pencil Sharpener (Pack of 20) KF02218 Pack of 20 Q-Connect Metal Pencil Sharpener. 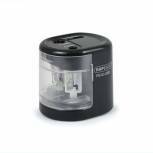 Wedge shaped, single hole pencil sharpeners suitable for use with all standard pencils, sharpens quickly and effectively. 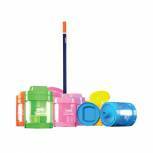 Q-Connect Plastic Pencil Sharpener Single Hole Assorted (Pack of 10) KF76992 Pack of 10 Q-Connect Plastic Pencil Sharpener Single Hole Assorted Pack of 10 KF76992. Sharp blade and easy grip sides. Suitable for standard 8mm diameter pencils. 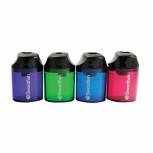 Plastic Pencil Sharpeners Assorted (Pack of 100) 794300 Pack of 1 Plastic pencil sharpeners suitable for use in schools. 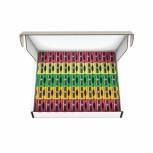 Assorted box of 100 brightly coloured sharpeners. 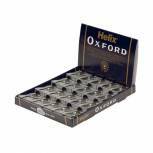 Helix Oxford Metal Pencil Sharpener (Pack of 20) Q01021 Pack of 20 Helix Oxford 1 Hole Metal Sharpener Pack of 20 Q01021. 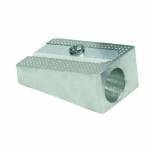 High quality tempered steel blade. Anti tamper safety screw. 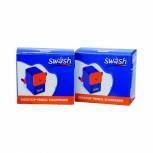 Swash Desktop Pencil Sharpener (Pack of 2) EG841001 Pack of 1 Swash Desktop Sharpener Pk 2 Robust ABS casing and durable long life cutter. Triple jaw clutch grip. Self-feeding with auto-stop. Complete with desk clamp. 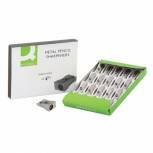 Takes all standard pencils up to 8mm diameter. 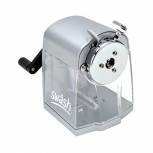 Swash Canister Pencil Sharpener Assorted (Pack of 12) SDPS112PP Pack of 1 Unique auto-stop feature to prevent pencils being over sharpened. 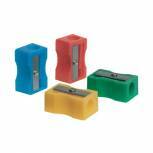 SuperSafe protection for the user-ideal for classroom use, especially younger children. Built-in point-stop sharpens to a flat point making the pencils far safer. Single hole. 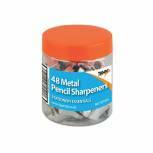 Swash Metal Desktop Pencil Sharpener 30FA Pack of 1 For all pencils from 7?12mm including colouring pencils. Self-feeding with auto-stop. Pencil point adjuster for optimum accuracy-ideal for use with coloured pencils where a rounded point may be required.. 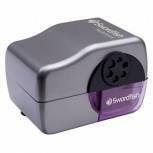 Swordfish MultiPoint Electric Pencil Sharpener 40233 Pack of 1 Swordfish MultiPoint Electric Sharpener 40233. For 6 different pencil thicknesses. Sharpens up to 10 pencils per minute. Replaceable helical blade. Auto-stop. Safety cut out when tray is removed.